Our large rectangle, mirror framed beveled mirror is a timeless classic, offering elegance and sophistication while constructed and designed with modern principles and materials. A show piece for any room, whether you are looking for a bathroom or powder room mirror, or something in your dining, living room, waiting room or office, our two inch mirror frame surrounds the large wall mirror in the center. Our mirror comes secured to a solid wood backing to add stability and prevent distortion or warping. The wood backing includes our pre-installed slimline 1/4 inch hanging hardware hooks for hanging your mirror in both a horizontal or vertical fashion. We stand by our products and your happiness with a 100% money back guarantee. USA Company with 3 Generations of Family Values. This elegant beveled mirror framed mirror is a show piece for any room whether you are looking for a bathroom or powder room mirror or something in your dining, living room, waiting room or office. The center glass is surrounded by subtle beaded accent to give added impact to this beautiful timeless piece. The outer mirror edge angles and slopes down toward the large beveled rectangle wall mirror in the center. 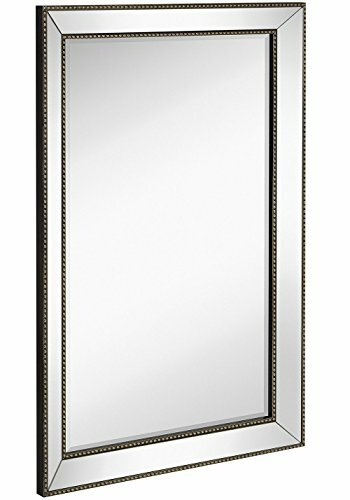 Our mirror comes secured to a solid wood backing to add stability and prevent distortion or warping. The wood backing includes our pre-installed slimline 1/4 inch hanging hardware hooks for hanging your mirror in both a horizontal or vertical fashion.We stand by our products and your happiness with a 100% money back guarantee. USA Company with 3 Generations of Family Values. 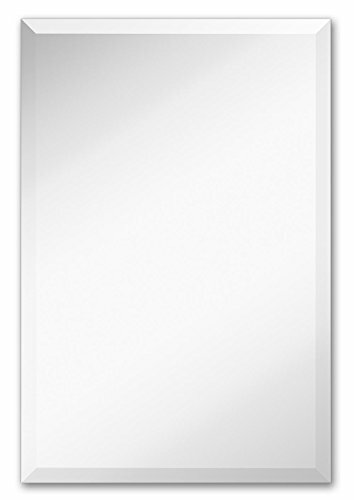 One of our absolute favorites this elegant 30" x 40" mirror framed mirror is a show piece for any room whether you are looking for a bathroom or powder room mirror or something in your dining, living room, waiting room or office. A substantial three inch angled mirror sides slope down to the large beveled rectangle wall mirror in the center. Our mirror comes secured to a solid wood backing to add stability and prevent distortion or warping. The wood backing includes our pre-installed slimline 1/4 inch hanging hardware hooks for hanging your mirror in both a horizontal or vertical fashion. The large central part is surrounded by a 3 inch mirror frame. We stand by our products and your happiness with a 100% money back guarantee. USA Company with 3 Generations of Family Values. Our large rectangle 24 inch by 36 inch mirror framed beveled mirror is a timeless classic, offering elegance and sophistication while constructed and designed with modern principles and materials. 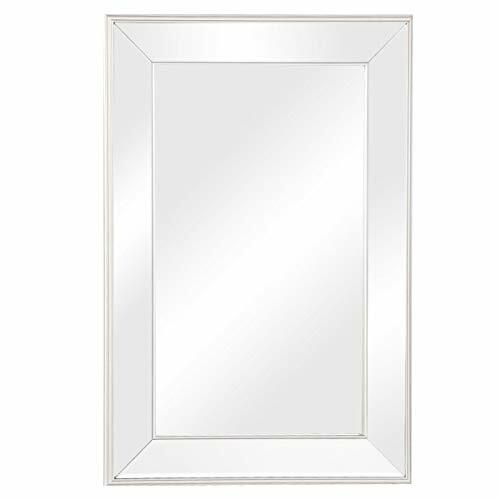 A show piece for any room, whether you are looking for a bathroom or powder room mirror, or something in your dining, living room, waiting room or office, our two and 5/8" inch mirror frame with small 1/4" bevels surround the large wall mirror in the center. Outer dimensions of 24" x 36" with the inner mirror being 18 5/8" by 30 7/8". 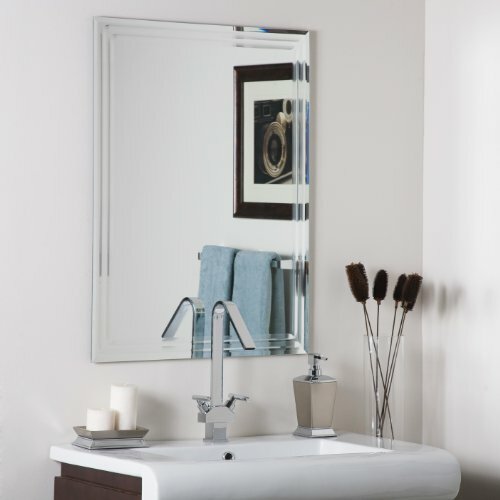 Our mirror comes secured to a solid wood backing to add stability and prevent distortion or warping. The wood backing includes our pre-installed slimline 1/4 inch hanging hardware hooks for hanging your mirror in both a horizontal or vertical fashion. We stand by our products and your happiness with a 100% money back guarantee. USA Company with 3 Generations of Family Values. 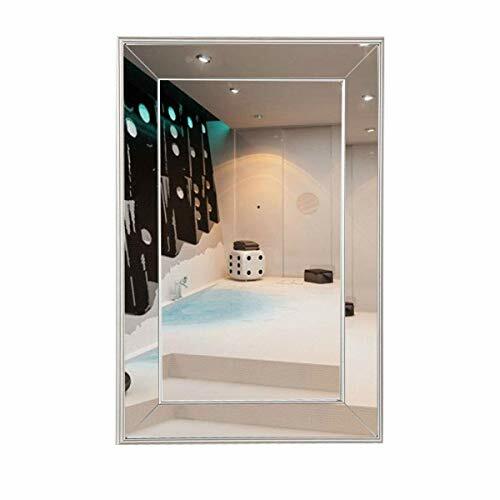 Strike a pose in front of this stylish and modern frameless wall mirror. Perfect mirror for your hallway, living room or bathroom. 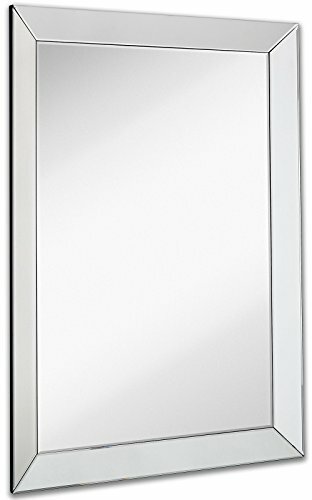 This frameless mirror has a unique design with v-grooved cut and tri beveled designs. 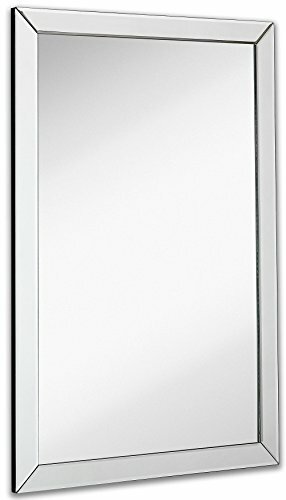 Looking for more Beveled Vanity Mirror similar ideas? Try to explore these searches: London Brick Trowel, Cat Basket, and Gift Set Rocker. 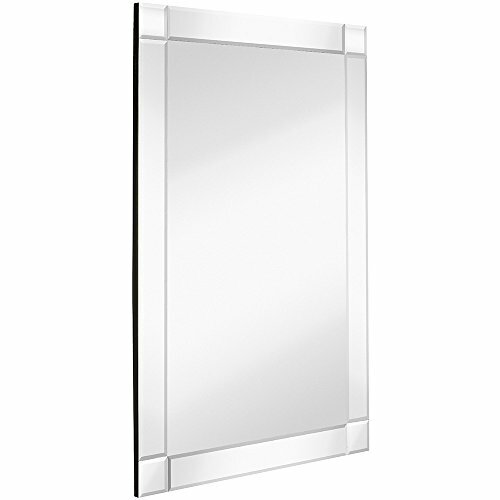 Look at latest related video about Beveled Vanity Mirror. Shopwizion.com is the smartest way for online shopping: compare prices of leading online shops for best deals around the web. 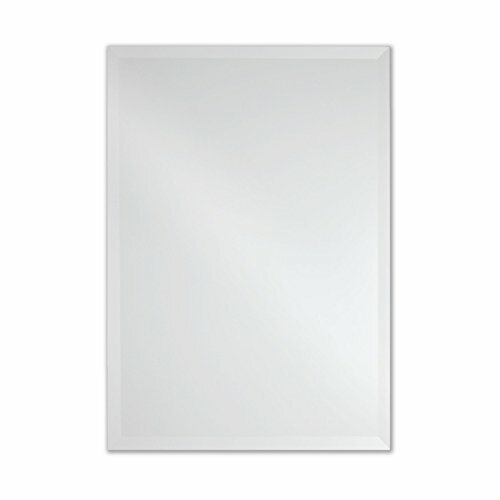 Don't miss TOP Beveled Vanity Mirror deals, updated daily.